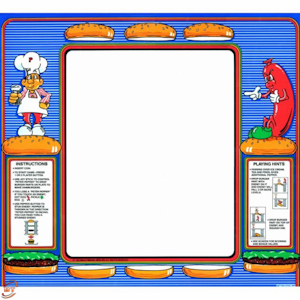 Silkscreened Burgertime Glass Bezels – ready for pre-order! Woot! Patience finally pays off. 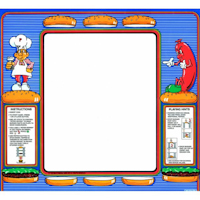 BackToTheArcade.com has finally opened up a pre-order for their silk-screened Burgertime (upright) monitor bezels. I am very excited to see this happen and plan on getting in on the pre-order myself have just placed my ‘pre-order’ order! They are even raffling off a great prize (metal space invader wall art) which is open to the first 20 orders, so getsome!